Stone of the heart. Makes cheerful, lively, loving and creative. Rhodochrosite also stimulates passion and is comforting at heartbreak. Rhodochrosite, the love of pink! Pink is the color of love, which makes the Rhodochrosite crystal stone a must-have addition to your collection of heart-based healing crystals. Like the soft petals of a rose, Rhodochrosite jewelry have sweet side effects like compassion, deeper emotional connections, and openness to love without judgment or expectations. Also, this gemstone calms and re-balances the nervous system, which promotes feelings of deep relaxation. A welcome prescription for managing stress and intense emotions. 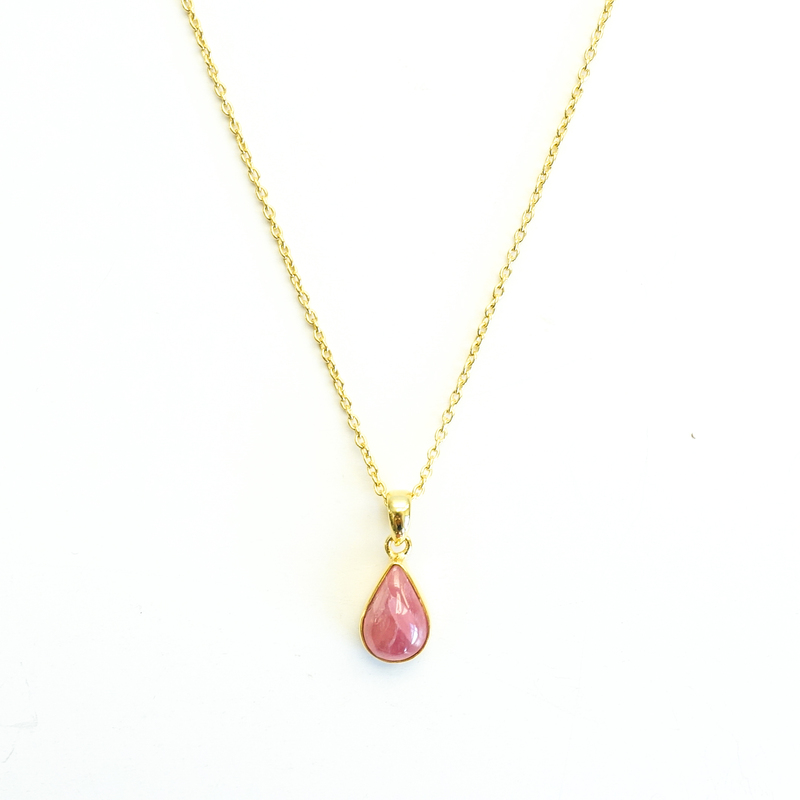 This soft old pink colored gemstone is very cute. The 18k gold layers make the Rhodocrosite stand out very well. It’s a classic model that will wear very chic. Keep in mind that this is a free of style set of gemstone. Meaning, each pendant will differ from the image.